Les Bowman worked for Colt on the Sharps Borchardt project. Photo from Randy Selby collection. The July 2017 issue of Rifle Magazine contains an article by John Barsness, “21st Century Rodent Rifles”. The first page of the article has a great picture of a guy shooting a Colt-Sharps rifle. Unfortunately the article does not tell anything about the gun. These guns were made by two companies from 1969 to about 1971, markings vary. Colt Sharps Borchardts are relatively rare. I tell the story of how the company came about in P.O. Ackley, America’s Gunsmith. EMDEKO started trying to produce a modern version of the Borchardt. Arthur Swanson had managed to get the backing of EMDEKO for his idea or reviving the Sharps with a modern design. Swanson met P.O. Ackley while in Salt Lake City and asked him about finding a company to prototype his new design. They went through two companies in the process of prototyping. By 1969 they had a working prototype that was shown at the National Sporting Goods Association Show in Houston. EMDEKO produced a small number of rifles during development of the project. It soon became obvious that this project was a little more involved and expensive than they had planned on. When Colt showed interest in the Sharps EMDEKO took the opportunity to exit the project and move on to a simpler arrangement with P.O. Ackley. I have seen reports that the EMDEKO company was in financial trouble, this is not the case, they simply did not see the project as profitable in the near future. 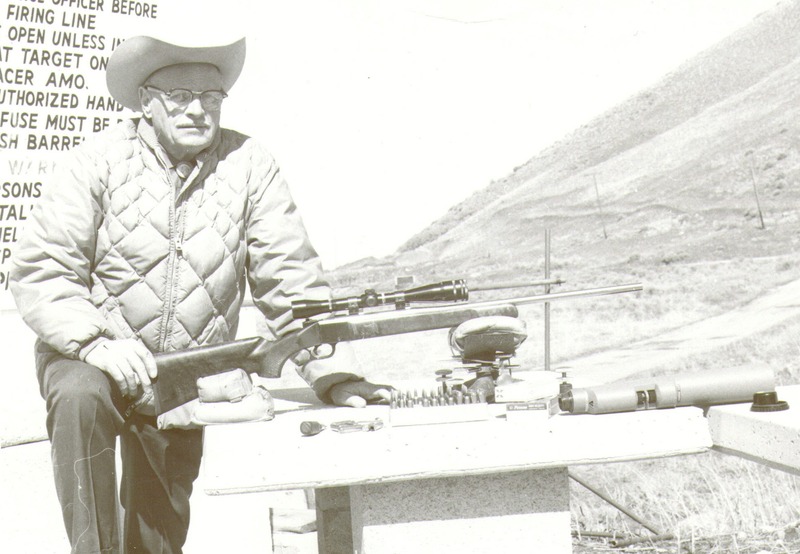 Colt purchased and moved the project back to their facilities and Les Bowman, a friend of Ackley’s, who was helping with testing and ballistics went back East for about a year to work on the Sharps. 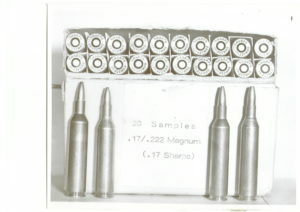 One of the cartridges that Bowman tested for Colt. 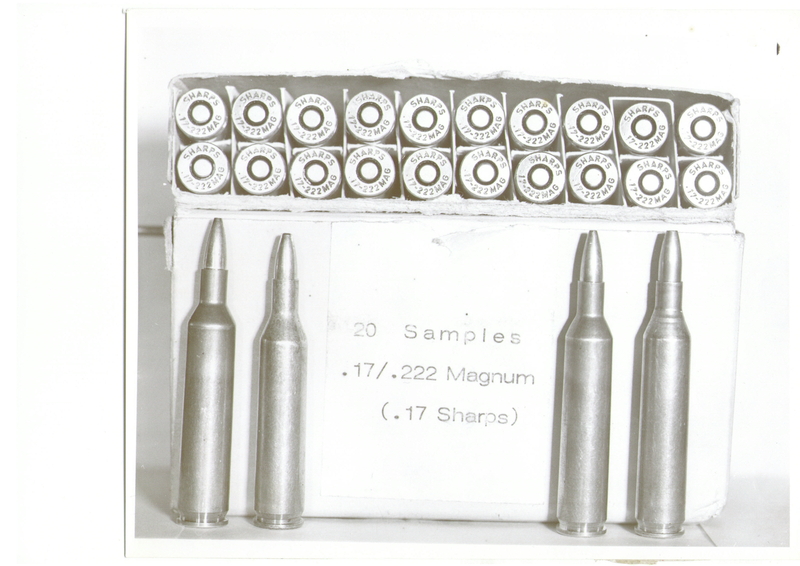 17/222 Magnum. Photo from Randy Selby collection. Colt produces some guns but the cost of production was high. At the time demand for single shots was not high and offering a ‘Cadilac’ rifle made the niche even smaller for the guns. Eventually Colt shelved the project and Bowman went home to Montana. There are many more details about this & more in the book, P.O. Ackley, America’s Gunsmith. According to the BlueBook of Gun Values the Serial # should be between CS000 & CS502 for Deluxe Models. Standard Models have a serial # range of CS2000 and up. They were deliverd in a case with acces. + a Leopold scope and bases. Price can range from $1600 to about $5000. Of course it is worth what someone will pay. Can you send me some photos and more details? in the video there is a pic of one of the gun included. Is there a way to tell, like a makers mark on an action or barrel that was made by P.O. Ackley. My father had a custom gun made in the early 1970’s and said he was the one that built it. When Ackley installed a barrel his standard practice, at least in Salt Lake, was to stamp the barrel with the caliber and a one piece stamp that simply read; P.O. Ackley There is a picture of a stamping on a barrel in the book, “P.O. 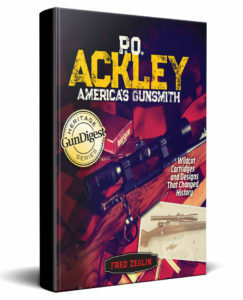 Ackley, America’s Gunsmith.